The status of Tiger Shroff's much-anticipated film Rambo is pretty much the same as it was last year, as the team needs more time for the preparations, reports news agency PTI. 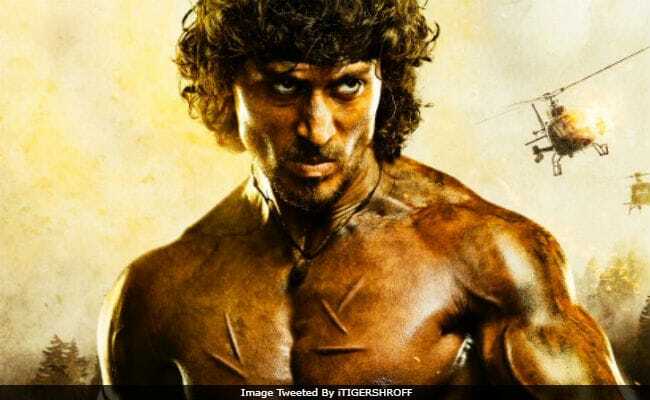 Filmmaker Sidharth Anand, who is directing the Hindi remake of Rambo said that he and Tiger Shroff mutually decided to take some more time to prepare. "...while Tiger and I were working on these things, another film with YRF came into the picture. For the first lead, we felt Hrithik Roshan was an apt choice. For the second lead I bounced the idea to Tiger. I told him that if we do this film now, we will have to push Rambo. And we both agreed that we give a little bit of more time to prepare (for Rambo)," Mr Anand told PTI, adding that after the other film, work will begin on Rambo. Rambo is a remake of Sylvester Stallone's iconic film of the same name. The film was announced last May. However, during that time, Tiger Shroff was busy with Munna Michael promotions and was simultaneously shooting for his recently-released film Baaghi 2, co-starring Disha Patani. "There is no prep work as such for the film as I am busy with the promotions of Munna Michael. And then I have Baaghi 2 and Student Of The Year 2 to do," Tiger had said. When Sylvester Stallone learnt that Rambo is being remade in Bollywood, the 70-year-old actor said, "I read recently they are remaking Rambo in India. Great character. Hope they don't wreck it." The film on which Sidharth Anand is currently working on stars Hrithik Roshan, Tiger Shroff and Vani Kapoor. The untitled film marks Hrithik Roshan's second collaboration with Mr Anand after 2014's Bang Bang!. The film releases next year. Sidharth Anand also plans to make a sequel of Rambo but the team will wait for the audience reaction first. "We need to bring the first film out and then see if audience wants to watch more of this character or not. It will go on floors by 2019 end and release in 2020," he told PTI.